Online video has exploded. 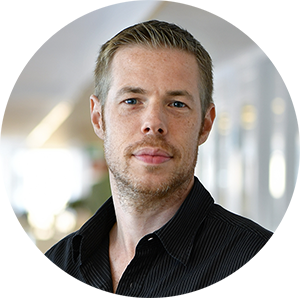 Media Analyst Linus Johansson writes about four trends in the video revolution. Video streaming was the talk of the town already in the happy nineties. Each year it seemed as if the launch of moving pictures on the net was just around the corner, despite the fact that there were some obvious limitations in the hardware for this kind of content. Not until February 2005 the technique could handle streaming of video in real time and the world was introduced to YouTube – one of the largest internet phenomena of the 2000s. 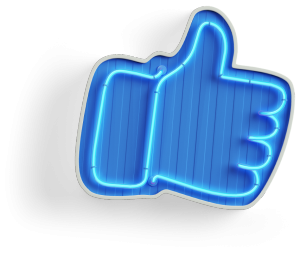 For a long time, YouTube was known to be the leading video platform while blogs, Facebook and Twitter were text based. Over the past years those positions have changed seriously and here are 4 insights in connection with this. Traditional media have been forced to accept that the paying public (and therefore the advertisers) disappeared and started consuming content from other platforms and through other distribution channels. A trend which among other things has resulted in media investments on e-readers, pay walls and native advertising. But the new media channels have also become aware of how unpredictable the users can be. Few platforms have had such an impact on online video as Snapchat has. The company, just recently re-branded as Snap Inc, calls itself ”a camera company” and has had enormous success with pictures and video in the short, disappearing format. In the wake of this success and earlier this year Instagram launched the function Stories, an obvious challenger to Snapchat’sfeature with the same name. 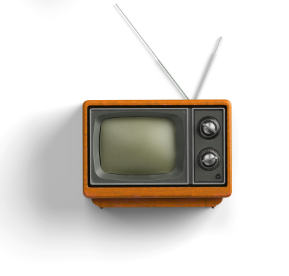 Over the last year even live-TV has developed into one of the hottest trends when it comes to content in social media. The interest gained momentum during the technique trade show SXSW in Texas where the live stream app Meerkat became the most talked about innovation in 2015. Later the Twitter owned Periscope was launched, and almost knocked Meerkat out as the leading app for livestreaming. Periscope was also the app of the year in 2015. Facebook started testing Facebook Live during the summer of 2015, and during the company’s developing conference F8 in April this year it was clear that Facebook invests heavily in live video, and just a few months later they went one step further and announced that in five years Facebook will consist of only video. Twitter, who struggles with a user base which does not grow, announced already last year that they will invest heavily in video live streaming. This year this has resulted in an agreement with the NFL, which means live streaming of American football matches on Twitter, live streaming of Wimbledon and the American presidential debates in co-operation with Bloomberg. Pinterest, which focuses more and more on becoming a platform purely for e-commerce, revealed in August that they are aiming to include video on the platform, and partly by developing their own video player. This summer Tumblr informed that instead of developing their own video product, they will integrate already existing solutions through YouTube among others. A few weeks later it was announced that LinkedIn, owned by Microsoft had invested in a video feature however, only for the most influential users so far. The limits for what we should consider a video or moving pictures are beginning to blur. From the beginning it was easy: YouTube had videos and the Swedish Bilddagboken had pictures and everything was transparently packaged and distributed on the desktop. But following Apple’s introduction of the iPhone in 2007, the mobile lifestyle gradually changed digital pictures and videos. Services like Vine and Snapchat popularised the short format with videos that last for only seconds. Instagram also picked up on this, and went from a pure photo app with inspiring filter to also including moving pictures. Later Instagram has also tried to incorporate the short format and the creativity of the users through the apps Hyperlapse and Boomerang. But then what? Where do you place 360 degrees’ videos, VR and augmented reality? One of the most successful applications in Snapchat is their lens filter, and the sponsored filters have been praised for being a fresher opportunity to marketing instead of annoying pop-up ads, which are blocked anyway by a large number of users. But the question remains if it is video, live video or if the time has come for a new designation. Through devices such as for example Apple-TV and Google’s Chromecast we can easily watch YouTube, Netflix, HBO etc. on our ordinary television while sitting in our TV-sofa (although half of our attention is focused on our cell phone). In the beginning of October this year Facebook announced that their users will be able to watch Facebook videos on Apple-TV/Chromecast. Earlier this year Twitter also launched an app for Apple-TV, and Amazon has developed their own hardware with Fire TV. You could say that we have gone from consuming online video on desktops to mobile devices to finally end up in the TV-sofa where operators like Facebook, YouTube, Amazon and Netflix compete with traditional TV-broadcasting. The hard currency in this connection is live sport. In USA they talk about cord cutting, and an example of this is Twitter’s above-mentioned agreement with NFL. Videos from social media are no longer consumed only on the cell phone on your way home from work, in the lunch break or at the gym but also on the front row seat, the TV-sofa, and in competition with everything that is produced for linear TV. As a consequence of this it may never have been as important as now to reflect on how to package your brand for moving pictures. Among other things social media has turned former passive consumers into co-creators, which has resulted in the development of new type of contents: the user generated. 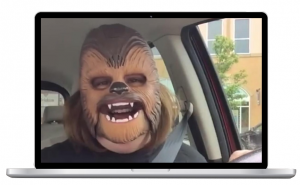 When the 37-year old mother, Candace Payne from Texas, uploaded a Facebook video of herself with a newly bought Chewbacca mask, and she laughs heartily to say the least, she became world news. The post has become one of the most popular on Facebook Live with more than 140 million views. She had bought the mask at the American department store Kohl’s, and within 24 hours they had all Chewbacca masks. Viral phenomena like this in combination with trends such as hauler videos, unboxing and not the least how-to videos have evidently created an interest among companies and brands to use this in their marketing. For example are car manufacturers such as Honda, Mercedes-Benz, Lamborghini and Chevrolet only responsible for 1% of all views that include their brands and products on YouTube. The rest are user generated. Instead of creating their own content on hair care, Unilever chose to create a channel on YouTube, which aggregates related videos made by vloggers, not brands. Even the cosmetics chain Sephora has tapped into this and integrated user generated videos in their physical stores. Even YouTube has incorporated this behaviour in connection with news broadcasting and launched YouTube Newswire, which is a generated feed consisting of eye-witness reports on video. Each year the Internet guru Mary Meeker publishes a very talked about report describing internet trends and the development on the technological field. This year’s report shows that video views have increased profoundly, mainly through Facebook Live and Snapchat. The same report concludes that video advertising has not worked that well. Mary Meeker nominates Snapchat to a sort of winner in this game, since they have succeeded in combining personal communication and user produced and professionally produced content in the same app. All in all, it is important to be aware of how video, especially live video, is prioritised by social media, be aware of the significance of user created content and the importance of packaging for different channels.